As if the prospect of carbon pricing, tougher regulations and the need to replace fossil fuels were not enough to contend with, the energy industry is facing another challenge – its customers are walking away and setting up in competition. 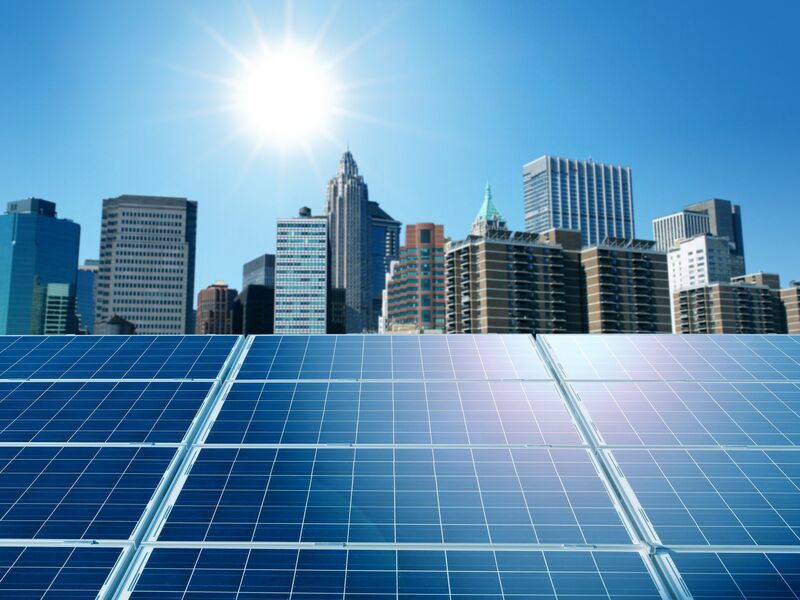 With the advent of cheap battery storage and solar panels, companies and citizens alike are generating their own electricity and selling spare capacity. As the forces of disruption gather, the energy industry is at a crossroads and corporations are having to rethink their business model. However, the energy sector isn’t alone – other industries could soon be feeling the same pressures, says Dr Belinda Wade, a sustainability expert at The University of Queensland Business School. “Change is coming; and as energy is the most emission-intensive industry, it is at the sharp end. What happens in the energy sector could hold lessons for others,” she says. Overall 70% of Australians now believe in climate change, with younger people more likely to be convinced by the evidence. Indeed, change brings opportunities says Belinda, who is also co-author of Australia’s evolving energy future, a report on how energy firms can make the transition. She believes the growth of domestic power generation could ultimately drive innovation along the supply chain, offering new sources of profit for the industry and better outcomes for society. Firms in other sectors can also achieve strategic benefits from sustainability. One example is Rock Trade Industries, which operates the Waterfall Quarry in Helidon. The company set out to redefine the quarrying industry by using 100% of material extracted, compared to just 20% for a typical sandstone quarry, and as a result, has opened up new markets by developing a range of high-quality sand and aggregate products. Just as Rock Trade started out by analysing its waste materials and researching demand, the first step is always to understand the internal and external environment. What are your resources and your key competencies? Who are your customers and competitors? What regulations apply or are likely to be introduced and what trends or constraints are emerging? “There will be opportunities for sustainability within all these areas, but you have to know where you currently sit before you can make choices,” says Belinda. “In the energy sector, for example, Australia has one of the highest penetrations of domestic solar PV systems globally. “Now some people have made these choices due to economic or environmental reasons, but others are driven by social factors. Sustainability is no longer limited to changing the light bulbs to LED’s and improving efficiency, it is taking a more strategic direction. “Organisations need to think strategically at all levels of the business,” says Belinda. In their recent development of a new runway, Brisbane Airport Corporation included potential rising sea levels induced by climate change in their design. It is also preparing for the prospect of aviation fuel price rises resulting from carbon pricing by working with The University of Queensland and Queensland State Development to establish a biofuels market. Don’t stop at products and services. Consider opportunities to innovate in different ways and at multiple levels. Aim for sustainability by design. Consider the entire life cycle – from the resources and processes used in manufacturing and the waste streams, right through to how the finished product will be used, what resources it will consume, how long it will last and how it will be disposed of. Rather than designing for obsolescence, could it be used as a resource in the manufacturing process? Interface Floors has adopted a ‘circular’ business model that mimics nature. Its TacTiles were inspired by the gecko and use adhesive stickers instead of toxic glue. They also use recycled laminates (PVB) from car windscreens to replace the latex pre-coat in carpet production. No matter what course the management decides on, they will be unable to pursue it without company-wide support. As the management guru Peter Drucker is alleged to have said, ‘culture eats strategy for breakfast’. If sustainability is to be truly embedded in the decision-making process, you need to create a culture that is strategically aligned to it. Educate the team about the benefits of sustainability in your business, have an in-house ‘champion’ and reward staff for suggestions. Start with small goals such as recycling office waste to pave the way for more strategic projects. Sustainability is a multifaceted challenge – businesses are facing numerous forces of disruption from new technology and urbanisation, to the impact of climate change, resource constraints and new business models based on sharing rather than owning. Belinda recommends that businesses should adopt more structured ways to consider what the future might hold. For example, scenario planning is a technique that originated in the military but has been adopted by corporates including Shell. She believes we are reaching the point where social, environmental and regulatory pressures will mean that sustainability needs to be embedded in core strategic decision making. “Sustainability really will be a vital component to operating a ‘resilient business’ of the future,” says Belinda.